Will Governor Pat Quinn Sign Illinois Budget on Thursday? (Springfield, IL) — Gov. Pat Quinn may sign the 2012 state budget Thursday, but the spending plan is not a one-and-done deal. Quinn, who introduced a nearly $36 billion budget, said he is not happy with the $33.4 billion spending plan that Illinois lawmakers sent him, and he wants more spending in education and human services. But while Quinn can shift around money in the budget, he cannot order more spending, said state Rep. Sara Feigenholtz, D-Chicago. (Springfield, IL) — April 22, 2010. The Illinois House today unanimously approved a bill that would enable the Illinois Department of Children and Family Services to capture an additional $17 million from the federal government to help pay for Illinois foster children care. The House backed the legislation, Senate Bill 3420, sponsored by State Rep. Joe Lyons (D-Chicago) and State Senator Dan Kotowski (D-Park Ridge), 113-0. “The economic crisis has undermined a DCFS fund that pays for care of abused and neglected children and it can no longer generate enough money to sustain current spending,” said Marge Berglind, President of Child Care Association of Illinois. DCFS has asked private child welfare agencies to voluntarily convert foster care and counseling services into Medicaid-claimable programs. In addition to Lyons, House sponsors include: Naomi Jakobsson (D), Sara Feigenholtz (D), Pat Verschoore (D), Jehan Gordon (D), David Leitch (D), Paul Froehlich (D), LaShawn Ford (D) and Tom Holbrook (D). The measure now goes to Governor Pat Quinn for consideration. (Springfield, IL) – April 22, 2010. The Illinois Senate yesterday approved legislation that would enable adult adoptees to secure their original birth certificates unless the birth parents object. Following on the heels of Illinois House passage last week, the Senate approved the plan 36-16. The legislation, House Bill 5428, sponsored by State Rep. Sara Feigenholtz (D-Chicago), now goes to Governor Pat Quinn, who is expected to sign the legislation. With Quinn’s signature, the law will take effect in November 2011. In the meantime, a yearlong informational campaign will alert birth parents that their names would become available to their adopted children, 21 and older, unless they file a formal denial form. Sen. A.J. Wilhelmi (D-Crest Hill) served as the chief Senate sponsor. Other Senate sponsors included Democrats: Ira Silverstein, Iris Martinez, William Delgado, Mattie Hunter and Donne Trotter. 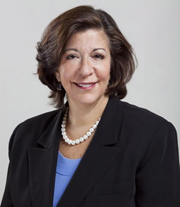 Feigenholtz, an adoptee who has met her birth mother and labored for more than a decade in the legislature to advance the cause of adoptee rights, said the current system of birth certificate denial to adults, such as herself, is wrong and birth-parent anonymity was relic from generation that sought to hide out-of-wedlock births and adoptions due to stigma. Other House sponsors included Democrats: Naomi Jakobsson, Chuck Jefferson, Carol Sente, Karen Yarbrough, Esther Golar, Susana Mendoza, Elaine Nekritz, Julie Hamos, Eddie Jackson, Bob Rita, Mike Smith, Monique Davis, Deborah Mell, Dan Burke, Karen May, Cynthia Soto and Eddie Washington. Republican Angelo “Skip” Saviano was also a House sponsor. The Child Care Association of Illinois backed Feigenholtz’s bill. (Springfield, IL) — April 14, 2010. An Illinois House panel today unanimously approved a bill that would enable the Illinois Department of Children and Family Services to capture an additional $17 million from the federal government to help pay for Illinois foster children care. The House Human Services Committee backed the legislation, Senate Bill 3420, sponsored by State Rep. Joe Lyons (D-Chicago) by a 7-0 bi-partisan vote. Committee members include: Naomi Jakobsson (D), Connie Howard (D), Patty Bellock (R), Sandy Cole (R), Annazette Collins (D), Mary Flowers (D), and Tim Schmitz (R). The legislation now moves to consideration by the full House. 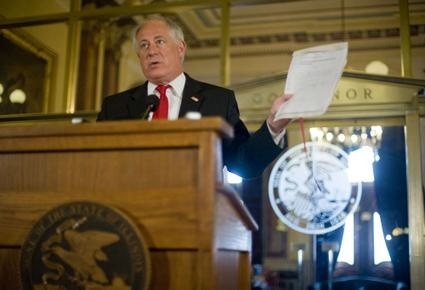 (Springfield, Illinois) – Governor Pat Quinn is planning to borrow $900 million to help cash-strapped Illinois to pay its bills through the winter. Quinn’s borrowing plan should help newly-appointed Secretary of the Illinois Department of Human Services Michelle Saddler to ease the cash flow crisis at the agency and to pay social service providers. “The Illinois budget dysfunction is undermining the provision of basic services to its citizens,” Berglind added. The Child Care Association of Illinois is also raising the provider cash flow problems to House Human Services Appropriations Chair Sara Feigenholtz (D-Chicago) and Senate Appropriations Chair Donne Trotter (D-Chicago), Berglind noted. (Springfield, IL) —Governor Pat Quinn’s recent doomsday budget announcement offered no detail on the Illinois Department of Children and Family Services or on the child service budget lines within the Department of Human Services. But we can offer an educated guess: a budgetary bloodbath. At DCFS, if Quinn’s average 37% cut is applied across the board, its budget would end up at about $850 million—almost $500 million less than currently budgeted. Last year, when DCFS weighed $75 million in cuts, those cuts would have eliminated 40% of system of care, threatening to explode caseloads. Quinn is now talking almost 7 times that much. The Child Care Association of Illinois would anticipate if that degree of cut was made, all child caseloads would have to be increased to the maximum allowed by consent decrees (20 for foster care) plus more in caseloads that are not subject to consent decree. Under those conditions, the abuse and neglect suffered by children would simply be committed by the state of Illinois. All programs with minimal or no federal funding stream would be cut—much of the family preservation line, certain counseling, quite a bit of training would be gone. Even with that amount cut, DCFS could not achieve the budget reduction goal. DCFS would need to decrease private agency rates too. On the DHS side, Community Health and Prevention Division would decrease from $237 million to $149 million—a loss of $88 million. Some of the budget lines are so small they could not absorb a 37% reduction and still be viable. They would just be eliminated. If the private youth services agencies thought 10% would be the end of the program, a 37% cut would be unfathomable. The Department of Juvenile Justice has not much to cut, unless they eliminate entire wings of facilities. If they eliminate all aftercare, they still would not make their budget cut share. Juveniles would be released from corrections with no aftercare services, although it is unsure how much leeway Governor Quinn has on releasing either juveniles or adults who have been duly sentenced to specific timeframes under the law. For the Illinois State Board of Education, we cannot even predict how they would cut. Another budgetary bloodletting. The Chairs of the House and Senate Human Services Appropriations committee—State Representative Sara Feigenholtz and State Senator Donne Trotter—need to communicate to House Speaker Michael Madigan, House Minority Leader Tom Cross, Senate President John Cullerton, and Senate Minority Leader Christine Radogno that state human service agencies and the vulnerable citizens they would cease to exist in any recognizable form after such budgetary ax swings. The members of Senate Appropriations Committee—Jeff Schoenberg, Jacqueline Collins, William Delgado, Mattie Hunter, Mike Jacobs, Emil Jones, Matt Murphy, Pam Althoff, Tim Bivins, Chris Lauzen and Dave Syverson as well as the House members Harry Osterman, Rosemary Mulligan, Patricia Bellock, Beth Coulson, Keith Farnham, Jehan Gordon, Deborah Graham, Elizabeth Hernandez, Eddie Jackson, David Leitch, Deborah Mell, Kathy Ryg, Angelo Saviano, Tim Schmitz, Darlene Senger, Ron Stephens, Mark Walker, and Eddie Washington—need to deliver the same message to legislative leaders. (Springfield, IL) – The Illinois House on Tuesday endorsed a one-time $24 million grant to reimburse foster parents for increased expenses related to caring for the state’s abused and neglected children. The Illinois House voted 76-40 to include the money in the state’s new Fiscal Year 2010 budget. “Foster parents have had only two increases in eight years to pay expenses to feed, clothe, house, and transport foster children and inflation has deeply eroded the value of the state reimbursement,” said Marge Berglind, the President and CEO of the Child Care Association of Illinois, the bill’s chief supporter. Berglind noted, on average, an Illinois foster parent spends $703 per month—of that $281 comes out of the foster parent’s pocket. average rates (for children 2, 9, and 16) were $380, $422, and $458 per month and they needed to be raised to $661, $757, and $830 to meet actual costs. The legislation, House Bill 83, sponsored by State Rep. Maria “Toni” Berrios (D-Chicago), provides a one-time payment this year of $24 million to the state’s 7,500 foster parents. The payments would average $145 per foster child. “We applaud Representative Berrios for her leadership and willingness to address the state’s under-funding of foster care,” said Berglind. State Representatives Sara Feigenholtz (D-Chicago), Deb Mell (D-Chicago), Cynthia Soto (D-Chicago), Luis Arroyo (D-Chicago) and Eddie Washington (D-Waukegan) are the bill’s other sponsors. The measure now moves to the Illinois Senate under the sponsorship of State Senator Jeff Schoenberg (D-Evanston).